But first, however, we have to bring to you the very sad news of the death last week of Jean-Jacques Machon. 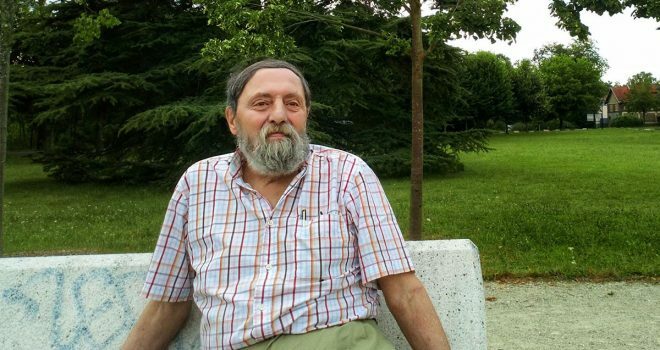 While many of you are probably very familiar with the enormous contribution made by Jean-Jacques to the world of ULD it is appropriate for ULD CARE to pay tribute for the enormous contributions Jean-Jacques made to ULD. 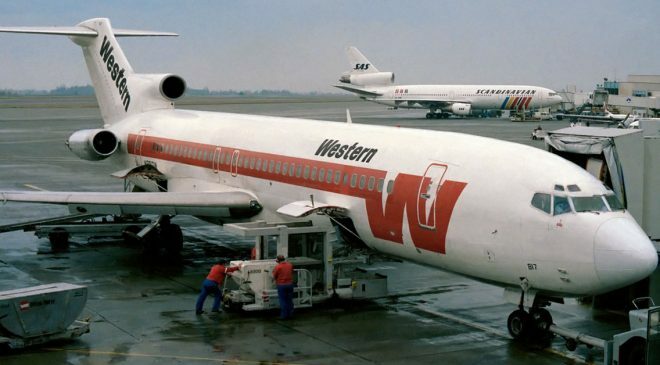 As a very early pioneer of the use of ULD Jean-Jacques put his substantial engineering talents to good use, at Air France, on the SAE and ISO ULD committees and in recent years as a consultant to IATA on ULD matters. It is less than a year ago that Jean-Jacques attended the SAE/ULDB meetings in Dubai, as always bringing his very very substantial knowledge to bear on pretty much every aspect of ULD activity, and his presence at these technical events as well as his continuing contribution to the content of the IATA ULD Regulations will be sorely missed. 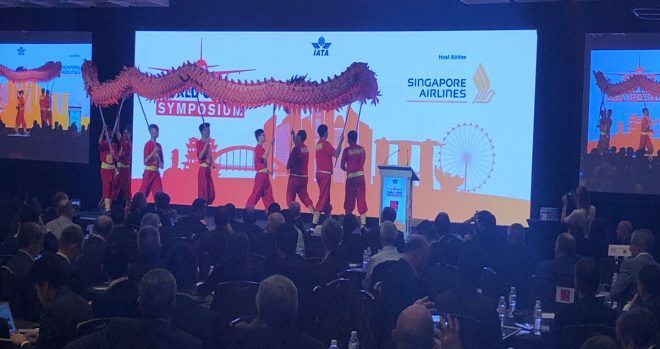 Last week saw the 13th edition of the IATA World Cargo Symposium, this year in Singapore. While the first couple of months of 2019 appear a little slow for air cargo this certainly didn’t discourage attendance at this event, and the roughly 1300 delegates put their usual energy and enthusiasm into this event. From an overview the words “Digitalisation” and “Innovation” was on everyone’s lips..the message being that without progress in these areas air cargo will struggle to overcome the challenges the industry faces. It seems that the future lies more in the “bytes” and less in the “boxes”, which presents an interesting challenge for ULD.. see more later in this newsletter. The WCS celebrated the 60th anniversary of ULD, taking the start point as the attempts 60 years ago to containerize the Lockheed Electra by AA. 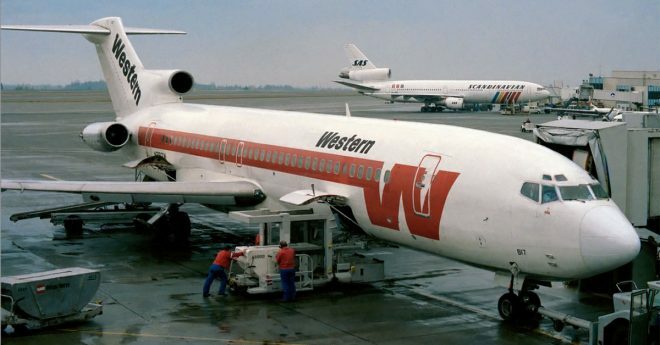 While this particular project didn’t go any further the idea didn’t go away and this photo shows the belly hold pods developed and put into everyday use on at least B727’s by some airlines. This 60th birthday was highlighted during the WCS opening plenary and then given prominence in the ULD track, including a video appearance by Jim Jackson, now in his 90’s who alongside Jean-Jacques Machon was at the forefront of the development of the SAE, ISO, regulatory and IATA standards without which the ULD operations as we know them today could not exist. And talking of the ULD track, we were able to hear from Daniel Coutelier, Senior Better Regulations Officer, EASA on their plans to develop enhanced safety regulations for the ground handling industry across Europe. While not specific to ULD operations this is nevertheless an initiative of interest to the ULD community and ULD CARE intends to remain informed on this process. It is also very noteworthy that 11 out of the 50 exhibitors (22% ) were ULD related while 3 out the 12 track sponsors (25%) were ULD CARE members, looking back at the very first WCS 13 years ago the ULD presence has come a very long way. For ULD CARE this event is always an opportunity to spend time spreading the ULD “word” and this year was no exception. 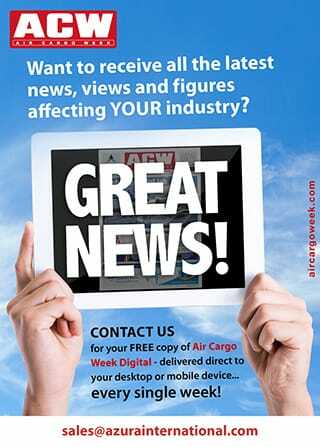 We engaged with both existing and potential new airline and non-airline members, we talked with the cargo terminal and ground handling providers and pressed the flesh with the trade press which will lead to increased visibility for our initiatives. 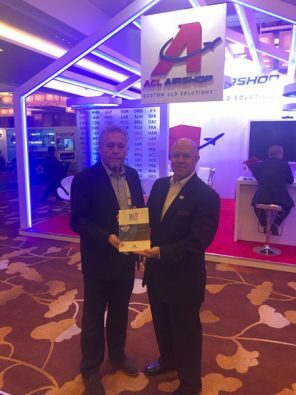 We were also delighted to produce a special print run of ULD Explained for ACL, the picture shows Steve Townes and Urs with a copy of the book, which ACL was handing out to delegates. Very fortunately ULD CARE embarked on an examination of the applicability of new technology to ULD operations early last year, putting us ahead of the curve in this area. The arrivals of new technology such as, Blockchain, BLE and other forms of ULD tagging, and smart phone apps to are feeding a huge interest in this area. Actually, the primary interest is digitalisation of the cargo, with the ULD being the proxy for the cargo, and while this gives ULD somewhat of a “free ride” we have to make certain that the critical ULD functions such as the operation of IULDUG are not overlooked. ULD CARE is well placed to join this discussion, having done a lot of work in the past 12 months, and it remains our intention to put these new technologies to good use for the benefit of our members and the ULD community at large. Keep tuned for more on this fast-changing subject. Born out of a chance encounter some 2 years ago with Airport College ULD60seconds is now a reality and a significant one at that. Combining the e-learning and production skills of Helsinki based Airport College and the subject matter expertise of ULD CARE, ULD60seconds is a platform to deliver 60 second video clips containing basic guidance material on aspects of ULD activities. Container Inspection in 60 seconds and Pallet Build up in 60 seconds are now available on line – see uld60seconds.com for more details, not only in English but in 17 different languages ( some still in final production) with potential for more. And the really good news is that these videos are available at no cost and are available for download to enable their use on in house video systems, which are now found in many cargo terminals. During the remainder of 2019 Airport College and ULD CARE plan to produce a further 6 ULD60seconds video’s following the same concept. The widespread use of these materials to encourage a better grass roots understanding of ULD operations and handling is clearly of benefit to ULD CARE members and we encourage all our members to help spread the word on this new initiative. Those of you at the 2018 conference in Guangzhou will recall AKE 88888 LH. 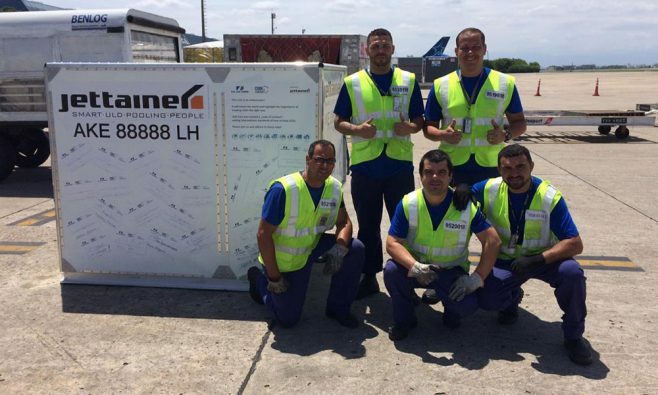 After some final assembly, this unit left China and has now travelled the world, courtesy of Jettainer. As the unit makes stops at different stations local promotional activities are held and photos taken, a new section on the ULD CARE website will cover this in greater detail before long. The ULD CARE ULD Code of Conduct remains a foundation to our mission and while progress may not be as fast as we might hope there is progress, during WCS we were able to engage in meaningful conversations with a number of cargo terminal operators and it would not be over optimistic to say that we anticipate some signups from well-known names in the cargo operations business. 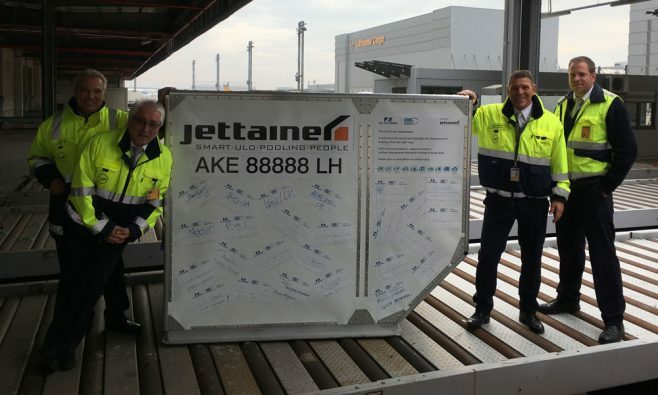 AKE 88888 LH will continue its travels ( undamaged so far ) around the world are we hope to have this unit front and centre at the 2019 ULD CARE conference in Montreal. As you may recall this was first showcased in its preliminary version at the Guangzhou meeting. 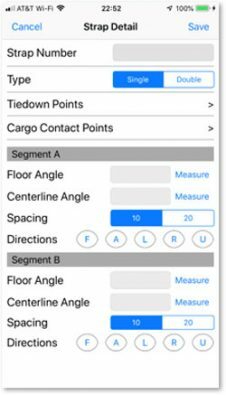 Since then we have been working to achieve a fully developed version of this app. The current expectation is that the IOS version will be available around the end May this year, with the Android version around 3 months later. 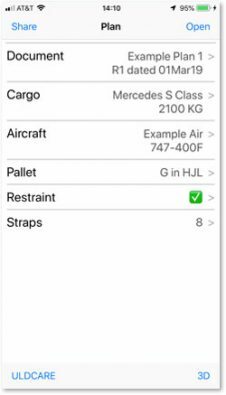 Once completed this app will bring a whole new level of accuracy to the use of straps as primary restraint for cargo. From time to time we get requests from our airline system user members for a user manual for the IULDUG system. Given the fairly steady turnover of staff it is not surprising that “system knowledge” gets mislaid. For IULDUG system users please note that the 97 page user manual can be found in the system under Information/Library/Manuals/Training Manual and User Guide. Also the schedule of daily demurrage and non-return values are listed under Information/library/Manuals/ User Group Control Manual/UCM Chapter 7. Montréal, Québec, Canada is the site of the next ULD CONFERENCE, September 16-19, 2019. We are eager to see you there as ULD’s are becoming center stage at many industry meetings. A team of ULD CARE board members is working hard to create an engaging and dynamic agenda for you. The conference will take place at the Loews Hotel Vogue, located downtown. See the information to book your preferred ULD CARE room. Send in your registration also, to enhance your presence take a look at the Conference Sponsorship Opportunities now featuring new options.